Russia-backed militants fired from small arms upon Chermalyk in Mariupol sector and near Maryinka. In the area of responsibility of “Skhid” (East) operational-tactic group they fired upon the Ukrainian troops’ positions outside Shyrokyne, near Pavlopil and Krasnohorivka. In the area of responsibility of “Pivnich” (North) operational-tactic group Russian proxies fired upon the Ukrainian troops’ positions near Zolote-4. Ukrainian troops keep controlling the adversary at the contact line while adhering to the ceasefire. Last week the Parliamentary Assembly of the Council of Europe (PACE) passed a resolution on the escalation around the Azov Sea and the Kerch Strait. The document was voted in by 103 members of the Assembly, three members voted against and 16 abstained. 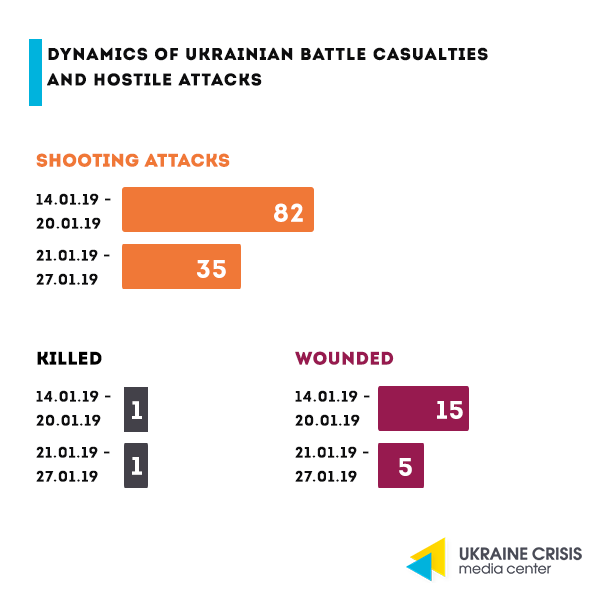 At the same time during the discussion PACE members decided not to mention the term “prisoners of war” in the document, contrary to what the Ukrainian side was insisting on. Instead a compromise was achieved and the wording that the Ukrainian side agreed to was found. The phrase added to the Resolution mentions that the Ukrainian sailors captured by Russia must be treated “in accordance with relevant provisions of international humanitarian law such as the Geneva Conventions.” The Geneva Conventions of 1949 define the status of the prisoners of war and the rules they should be treated in accordance with. There were no representatives of Russia at the sitting, so their position was not voiced. To remind, the Russian delegation was stripped of the voting right at PACE following the annexation of Crimea. 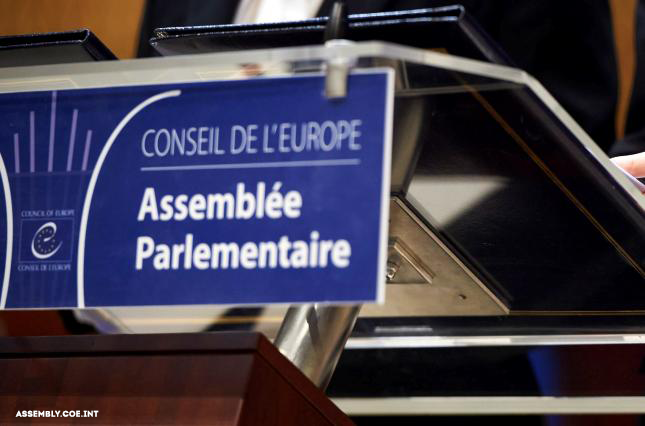 In 2016 Russia protesting against the restrictions refused to participate in the Assembly’s work and later stopped paying membership fees to the Council of Europe. Last week the court found former Ukraine’s president Viktor Yanukovych guilty in absentia of treason and complicity in waging of the aggressive war. 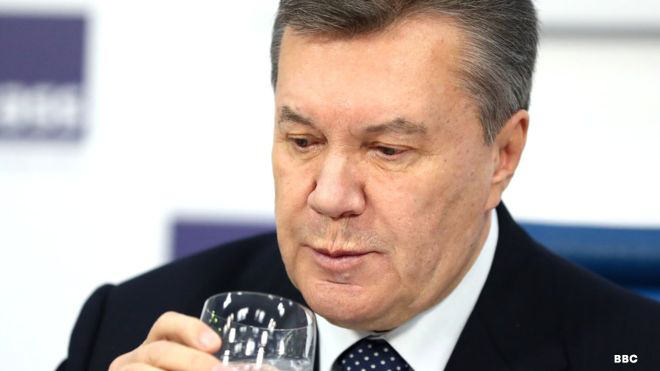 The court sentenced Yanukovych to 13 years in prison. At the same time the court rejected the article on “complicity in purposeful actions aimed at changing the state borders” that Yanukovych was also charged with. The court did not find him guilty in that seeing no convincing evidence that Yanukovych was informed of the Russians’ ultimate goal – the annexation of Crimea. The court also ruled that the prosecution had not provided evidence that Yanukovych acted to change Ukraine’s borders. The court did not find calls to such action in his speech. On January 25 a group called Distributed Denial of Secrets (DDoSecrets)released a large collection of documents of the Russian Federation obtained through hacking and information leaks, writes “Ukrainska Pravda” quoting The New York Times. The majority of the materials that shed light on the Russian war in Ukraine as well as on the ties between the Kremlin and the Russian Orthodox Church, were earlier published in Russia, Ukraine and other countries. It is mentioned that the documents include a “voluminous archive of material hacked from Russia’s Ministry of Internal Affairs that WikiLeaks had declined to publish in 2016.” Released were also many Russian emails and other documents obtained by the hacker group “Shaltai Boltai”, documents of the Russian weapons exporter Rosoboronexport and materials on falsifying the story of MH17 downing over Ukraine in 2014. The new web site works similarly to the WikiLeaks model – welcoming hackers and informers to send confidential documents. Russian state-owned federal channel “Russia 1” has launched a new political talk-show called “Those against?” (“Kto Protiv?”). While the majority of such programs are broadcasted at evenings, this particular program targets the audience at afternoon, broadening the viewership’s exposure to the messages government desires to promote. Sergey Mikheev will host the show, further establishing his position as one of the most popular political scientists favored by Kremlin. As a frequent guest to a number of such programs he has gained a reputation for the vehement attacks on Ukraine and Ukrainian government as well as his openly negative views on EU and the USA. Such views, supported by often radical messages and frequent use of hate speech, resulted in the status of persona non grata in the European Union upheld since 2014. While the program positions itself as an alternative to already existing ones, the very first issue demonstrates that it is, in fact, just another platform that grants Kremlin one more opportunity to promote the desired narratives. A significant part of the program was dedicated to discussing Ukraine in a manner typical for Russian state controlled media, reinforcing ideas of Ukraine being a “Nazi” failed state. 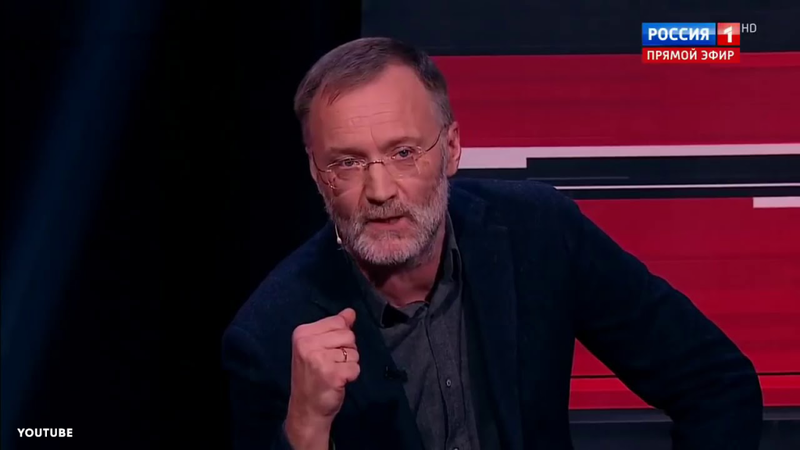 Moreover, the first issue of “Those against?” was endorsed by Vladimir Solovyov, who is himself one of the most famous Russian TV hosts with a strictly pro-government, anti-Ukrainian, anti-Western rhetoric he notoriously applies in every issue of his own show “Evening with Vladimir Solovyov”. Launch of “Those against” demonstrates a tendency for the radicalization of Russian media, which is to be expected before presidential elections in Ukraine. They will take place on March 31, 2019 and Moscow has already mobilized significant resources, including media, in an attempt to influence the political process in Ukraine.